When will I get my order? : Your order will take 2 weeks to process; add ship time from MA. Please refer to this map (Click here for map) to calculate shipping time. 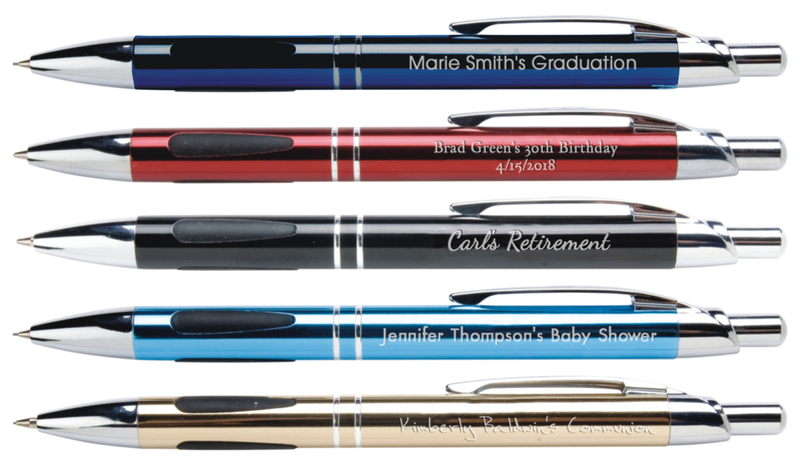 Personalized Metal Pens We would be glad to send you a pen for you to test. Just indicate the item number, color, and your shipping address in an email sent to: info@cool-party-favors.com. 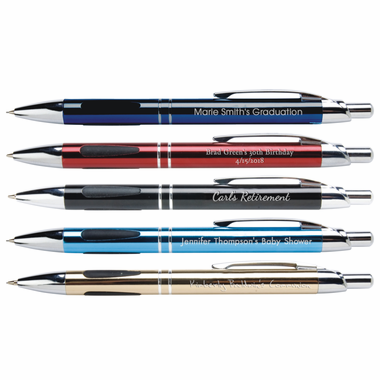 It can take 1-2 weeks, as the pens are sent via US Mail.